Western Digital’s recently acquired HGST (formerly Hitachi Global Storage Technologies) has announced plans to ship helium-filled hard drives next year. Replacing air-filled drives with helium has a number of benefits and is seen as a major win for disk technology that could go a long way in reducing energy costs for major cloud storage providers. According to HGST, these new helium-filled drives reduce power consumption by around 23 percent which in turn helps to lower overall operating temperatures by 4°C (7°F). Furthermore, the manufacturer is now able to stuff two additional platters into a standard 3.5-inch drive. This should result in capacities approaching 6TB. 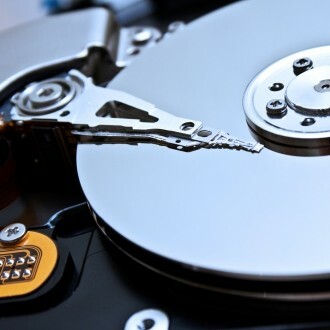 Engineers have known for years that air inside hard drives creates drag and turbulence which leads to decreased performance and higher temperatures but it wasn’t until just recently that they figured out what to do about it. Current generation hard drives have an air channel used to equalize pressure within the drive when it’s under stress. HGST’s engineers have since figured out how to develop a drive with a structure that is rigid enough to withstand changes in pressure, how to fill it with helium and then how to trap the helium with an air-tight seal. The entire process took roughly six years to figure out, HGST says. There are processes that could produce even better results, but they come with significant risks or manufacturing hurdles. Hydrogen, for example, wouldn’t exactly work because it’s flammable and a vacuum would require a stronger and more expensive frame to withstand the pressure.